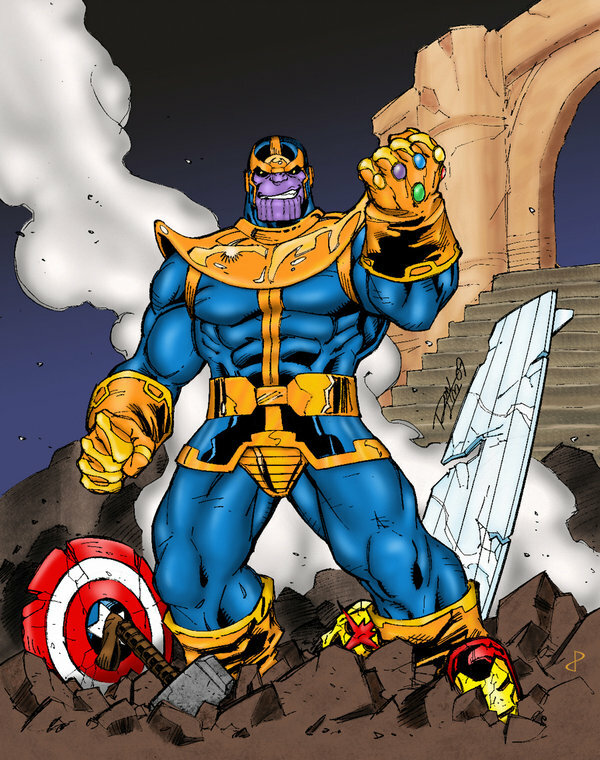 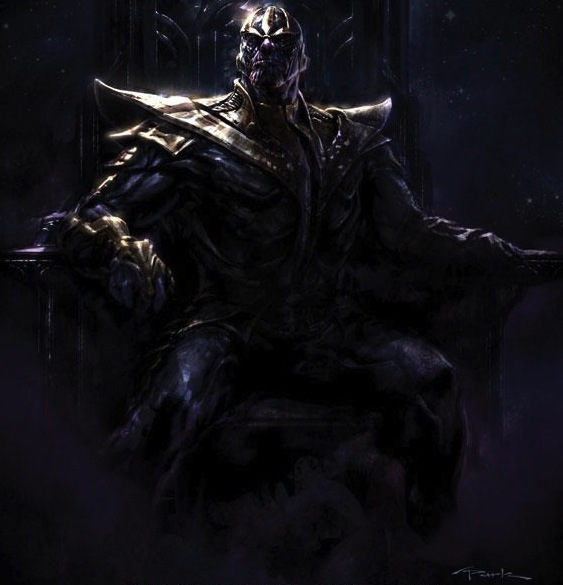 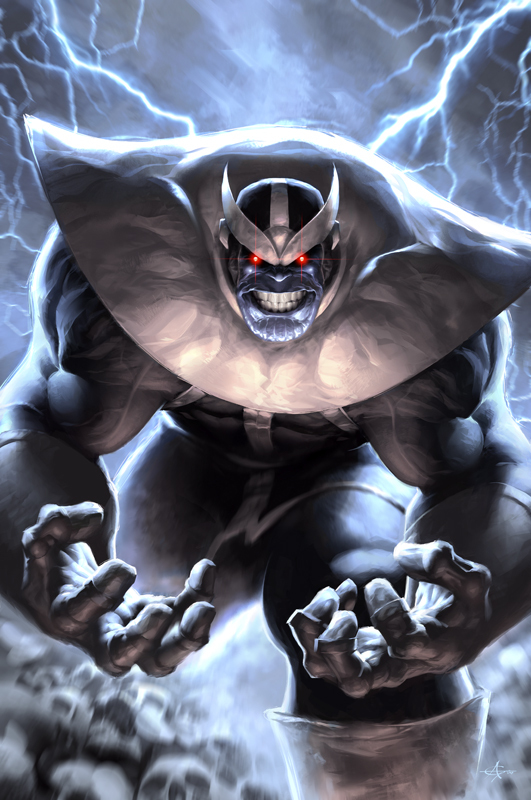 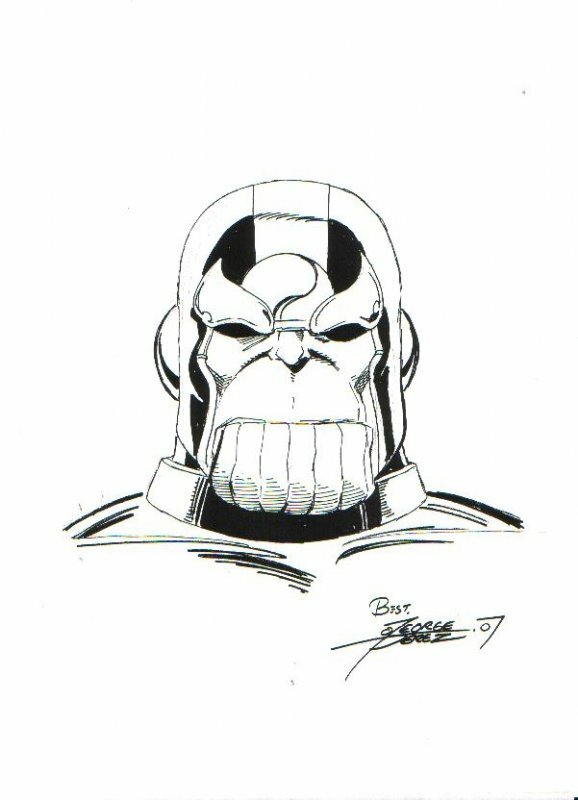 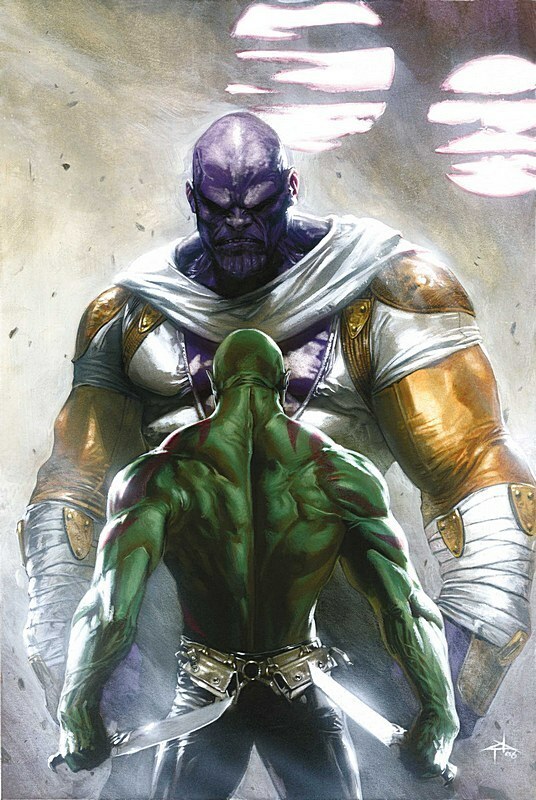 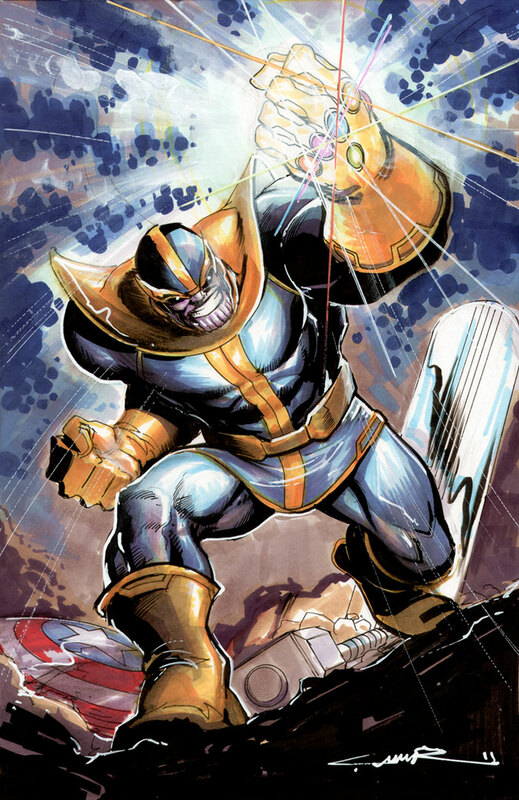 I wanted to start a new feature that would focus on artwork depicting popular villains, so I figured it couldn’t hurt to start with Thanos considering all the extra exposure he’s getting right now. 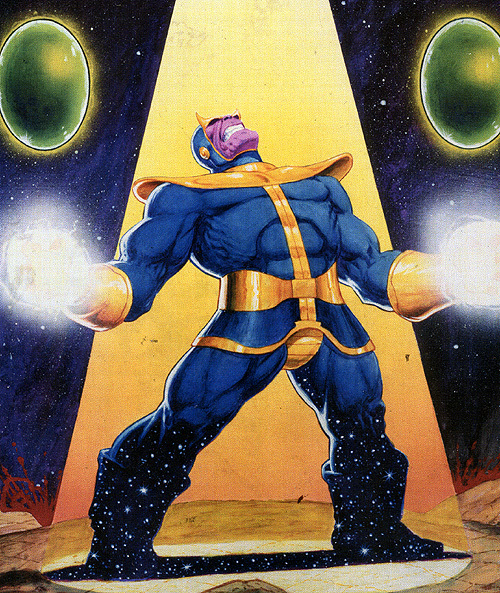 Luckily Marvel has finally reprinted the Thanos Quest book at an affordable price, and I honestly recommend that to new readers over the Infinity Gauntlet as it lays out the background for the Gauntlet saga and focuses on Thanos’ intelligence over everything else. 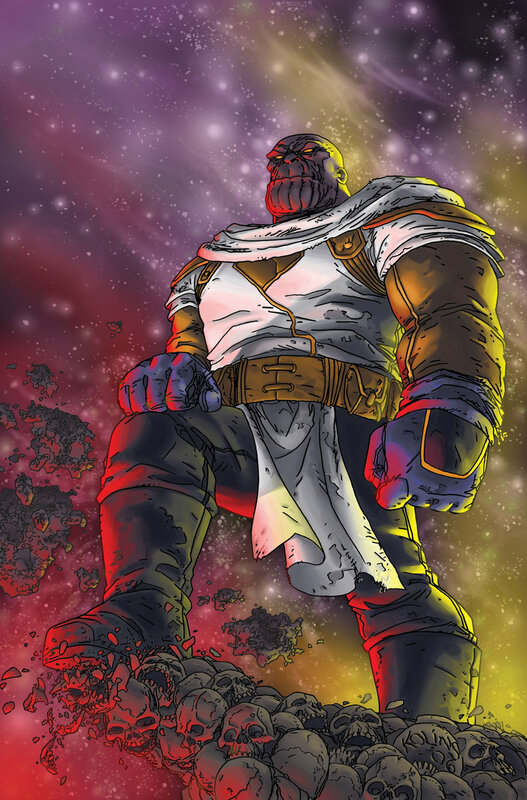 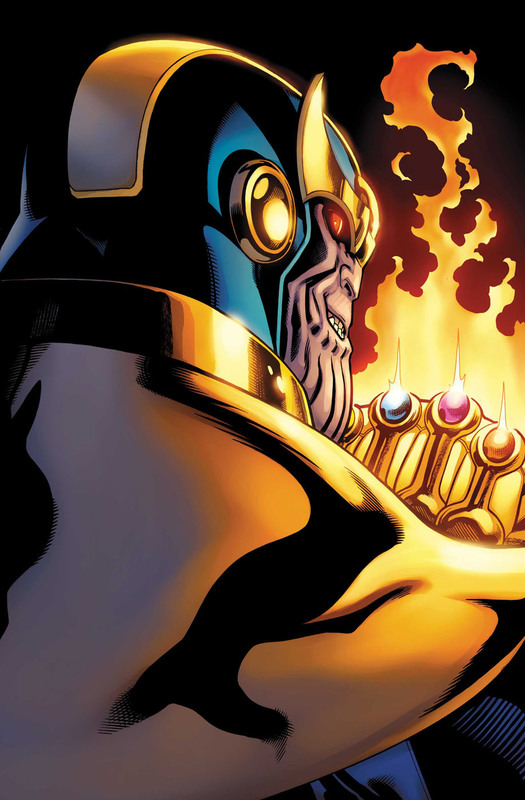 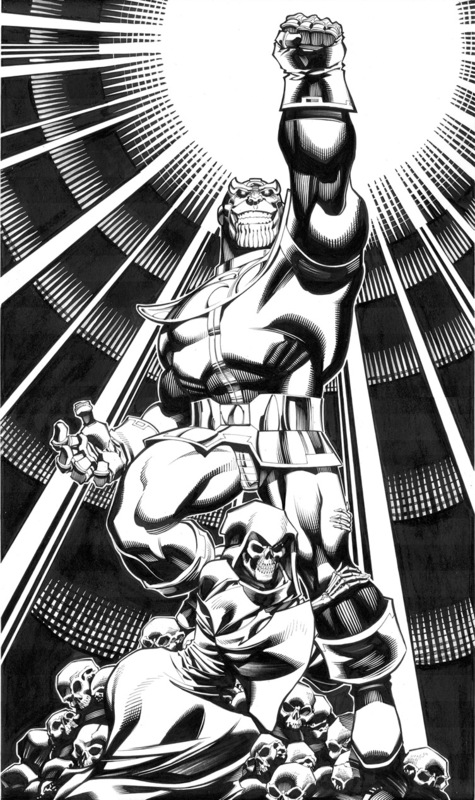 I would also recommend checking out the Thanos Imperative by Abnett & Lanning, which is just a great cosmic saga.